We would like to thank the Hoylake community and all customers for supporting us over the last 40+ years. We will miss you all, that includes customers local, far and wide. We understand that the current economical climate has made everyone tighten their belts and blame no one, but wish to thank all our customers from over the years and wish Hoylake all the very best for the future. That is a huge shock and really bad news for all of us in Hoylake. 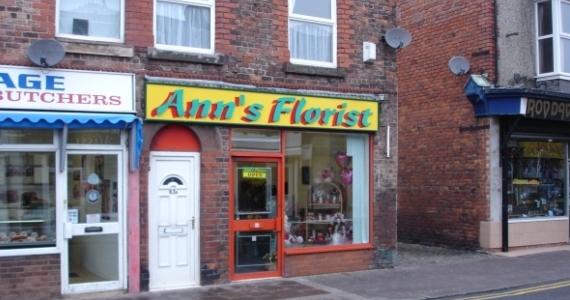 Most of us have been going to Ann’s florist for as long as I can remember – for our weddings, funerals and flowers for friends and we are going to miss a business that we all took for granted would be there for ever. Thanks Ann and Gill and Debbi – you did us proud. ps There will be a lot more businesses going that way with the new rates rise. thank you Carol your comments are very much appreciated, and i am afraid you are right, i know of at least 1 more business due to go and i fear for more…Hopefully i am wrong. This is very sad news for the area. On a vaguely related note, I’ve learnt that “The Business Floral” is also leaving their Market Street premises. Does anybody have a new number for the owners or perhaps could link us together by email or pass on my number? Thanks in advance! As a West Kirby person I use Eden all the time and Trish is fabulous. There aren’t many High Streets left in this country with independent traders, we either don’t have the resources as Business Owners to stand up to them or we don’t have enough local people shopping with us. I have to say that as much as the bars and restaurants can be full, would you ever recognise any of them as a customer? Most people don’t shop locally and that is fact. If people want a picturesque High Street with a range of offers and not just estate agents and charity shops then its up to them. to shop. Unbelievable that Ann’s has now closed. Sadly it seems that a lot of premises in Hoylake are going through tough times.